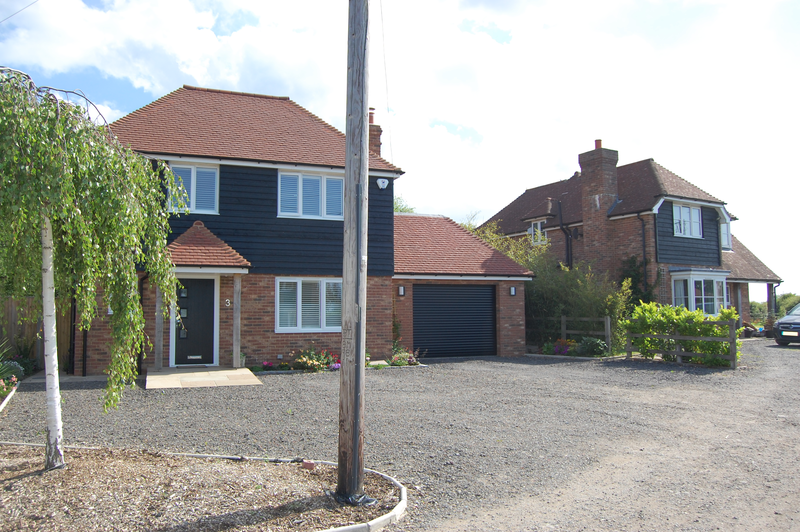 Established over 20 years ago, Clifford Construction is a family owned business that specialises in building high quality new homes in the East Kent region. These range from 2 and 3 bedroom terraced homes in towns and villages to 4 and 5 bedroom detached country dwellings. What all our homes have in common is that they are individually designed to best suit thier location in order to provide attractive, comfortable and generously proportioned accomodation with good sized gardens. Wherever possible our homes are equipped with solar panels capabable of generating virtually free hot water and this, combined with very high standards of insulation, makes for a home that is energy efficient and economical to run. All Clifford Construction new homes are well appointed with high specification sanitary ware and kitchens as well as being genuine 'turn key' homes complete with fitted flooring, and turfed and landscaped gardens. When you buy from Clifford Construction you can simply move in and start enjoying your new home. You have the reassurance that it has been built to the highest standards, by a team of skilled and experienced tradesmen and is covered by a full 10 year NHBC warranty. Furthermore, we are always happy to help as you familiarise yourself with your new home - Clifford Construction prides itself on having established long term relationships with its many satisfied customers, a number of whom have come back to ask us to undertake further construction projects. While residential development is our primary business, we also undertake commercial developments. Again, we seek to build high quality commercial property that is both functional and finished to a high aesthetic standard. Examples of our previous developments can be found in 'Commercial'. Having established an excellent track record of developing parcels of land for both residential and commercial use, we are naturally always interested in hearing from landowners who have plots to sell. Your land may already have planning permission or you may be seeking assistance to gain the necessary planning permission. In either case we are happy to explore the viability of future development.